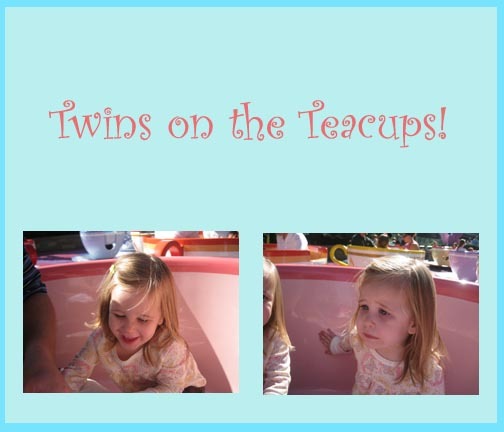 Last week we took the twins to Disneyland. They loved it. Both Lauren and Tatum are officially in love with Mickey Mouse. Having had two awesome days running around with the girls laughing and giggling I think I am too! One ride they didn’t quite agree on was the teacups. Tatum insisted on riding it three times in a row; Lauren – Never Again! I bet they slept with their Pilloroos that night.